Our management team has not only the experience but the dedication to provide the best customer service you could possibly receive. Give any one of these guys a call and they WILL answer their phone or get back to you quickly. Our team is accessible, honest and accountable to you, the customer. 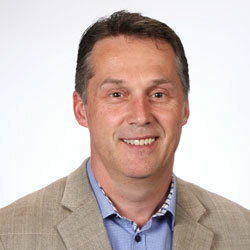 After completing his post-secondary education, Ted started with Kudu Industries Inc. in 1992 as a Field Technician in their Provost, AB location. 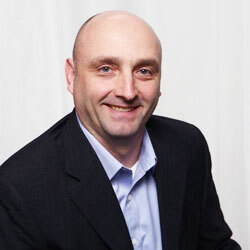 Gaining technical experience throughout the years, Ted advanced from Store Manager to Area Manager and ultimately Business Development Manager, Canada. Over the course of 5 years (1994-1999), Ted was responsible for the installation of approximately 2500 complete PCP systems in Western Canada and helped grow Kudu from one field store to six in that time period. Ted has sat on the Board of Directors for CIM/SPE (1998-2003) and is currently the president of the OTS 4th Meridian. If you know Ted, and a lot of people do, you know he’s the perfect guy to be leading the charge for MANTL’s Business Development team. Sheldon’s vision for MANTL is solutions and service from the wellhead back. Too often manufacturers push products out to the field. Sheldon wants to reverse that and have feedback from the field drive engineered solutions. This unrelenting dedication to serving the customer means MANTL will design and supply only the best PCP systems. An- effective leader must possess an array of skills and attributes. 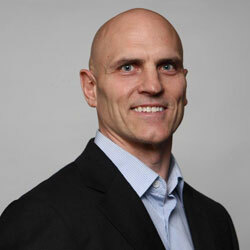 Matt has excelled in a variety of executive level positions in operations, finance and sales. He is a Black Belt in LEAN Manufacturing having held the title of Vice President, Manufacturing for Alkhorayef Petroleum in Saudi Arabia for two years. Closer to home as the Vice President International Business Development and Operations, Matt was responsible for negotiating and managing the two largest contracts in Kudu Industries’ history. An $83 million sale in Venezuela as well as a $97 million sale in Kuwait. A CMA by trade, Matt brings extensive financial experience to the group from his role as Chief Financial Officer at Kudu Industries and he understands how to generate tremendous value for both the company and its customers. Matt is a down to earth leader who gains respect through action. He is approachable and wouldn’t ask anything from his team that he wouldn’t be willing to do himself. His vision for MANTL is a company that allows everyone to use their own expertise to contribute to individual and team success. Born and raised in Colombia, Jaime earned his Petroleum Engineering designation and gained experience in both Field Engineering and Operations at various companies. After four years as the Operations and Sales Manager for TDA Service & Supply in Columbia, he relocated to Houston to join Kudu Industries as their Regional Manager, South-Central America. During his ten years with Kudu, Jaime helped secure an $80+ million dollar contract, the largest to date for the company. 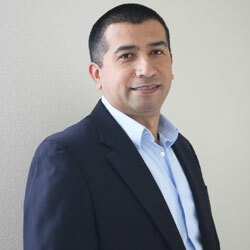 In 2009, Jaime earned his Master’s in Business Administration from the University of Phoenix. Jaime’s experience and connections will increase MANTL’s exposure overseas. He will quarterback all of MANTL’s international efforts and has big plans for his international team. Jordy’s unique mix of operational efficiency while also remaining extremely customer focused has allowed him to have success in the PCP world both in Canada and abroad. 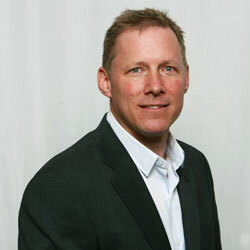 He has held general manager positions for both Kudu’s Kindersley and Lloydminster locations as well as manager for all of their Canadian operations. For the last three years, Jordy was the head of Kudu’s Australian division where he successfully built up a highly talented team and oversaw the construction of a single cell manufacturing facility to service the country. Having Jordy on the team will allow MANTL to scale up quickly in Western Canada with the reassurance that our high standards will always be maintained and our attention to serving the customer will be unwavering. Our knowledgeable support staff makes it easy for customers to work with us by solving their greatest challenges and building an honest, trustworthy relationship. We're always here for the people who matter, and that includes our employees in the office and on the ground. We give our team a safe place to belong, not because industry safety standards demand it, but because we care about keeping them out of harm's way on the job. The wells run 24/7, and that means we do, too. Whether it's picking up the phone or taking the long drive out to a well site, we go the extra mile to make our customers happy. Our decades of industry expertise and range of high-quality products help us solve problems every day. But on those rare days when that isn't enough, we aren't afraid to refer customers to our partners — even if it means we don't get the sale — because a referral from a satisfied customer is just as valuable. There's only one Earth. That's why we use PCP, one of the safest and most environmentally friendly lift technologies available, to reduce our environmental impact. We also use lean, single-cell supply chains to build products quickly, flexibly, and efficiently without ending up with surplus stock. We monitor each product regularly to see how it's performing. And when the job is finished, we evaluate why it worked and how we can improve it for next time. Every day we ask ourselves, "How can we make our products better for the workers in the field?" The answer is simple: we use a well-back approach to make sure we're building the right tools for the job. And if the field workers see a solution, we have the expertise needed to design and manufacture it. We don't attach labels like "innovative" to our work. Instead, we make sure our ideas are creative, effective, and new in the market, then let the product's success speak for itself. Become the highest recommended and most explorative independent supplier of progressing cavity pump systems worldwide. a smart product supply chain, and the development of new ideas. MANTL © 2015 - All rights reserved.